If you have never participated in a blog hop before, it is just one big loop of fun ideas as you visit each blog along the way. 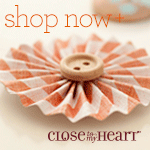 If you are coming from Michele's blog, you are on the right path. If you are starting here, just look for the link at the end of my post and successive posts to see where to go next. For my project, I used the Here For You Card Workshop Your Way. I really like the sentiments of the exclusive stamp set included with this kit. If you were to follow the kit directions, this is what you could make. However, with a little creativity, look what else you can do. 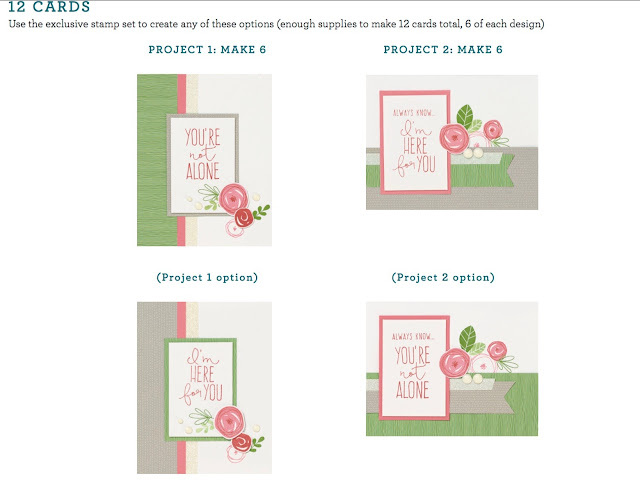 I made an accordion envelope card. It's for a friend who is going through tough times. Each section of the card is actually an envelope. The envelopes are overlapped to form an accordion. Inside each envelope is an insert with a either a prayer, a verse, a coupon good for a batch of her favorite cookies, a coupon for time to just listen or to spend together quietly . collection and Hook and Loop (velcro) dots. Thanks for visiting today. 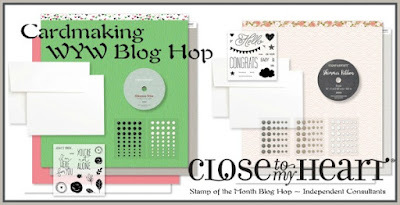 Now, join me as we hop on to see more ideas and Workshops Your Way Kits as we go to visit Kirsten's blog and other consultants who have joined in on this blog hop. What a beautiful project! The choice of colours for the flowers and leaves stand out perfectly against the white and grey background. I have pinned this for future reference - it is simply stunning! Stunning! What a wonderful and thoughtful creation. I love your interactive card and beautiful stamping! What a beautiful project. The colors are so bright and cheery and I love the little surprises you placed in the pockets. This card is simply amazing. I'm floored. Great job, and I know your friend will love it. I have been meaning to make something like this & now seeing what you done you have given me some fab inspiration.